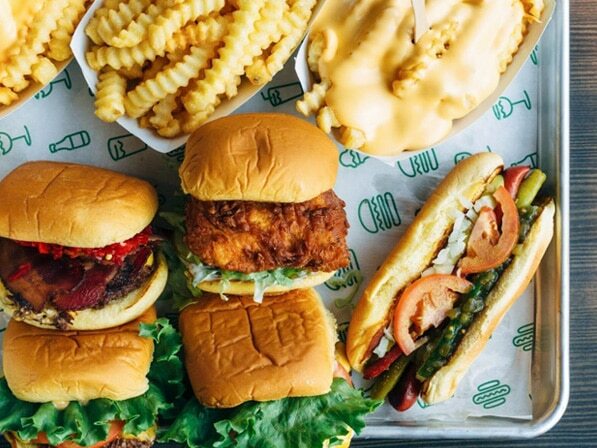 Even if you’ve never had it before, you’ve probably heard of this New York burger chain, as they have more than 6,000 locations worldwide and had a giant valuation that made massive headlines. 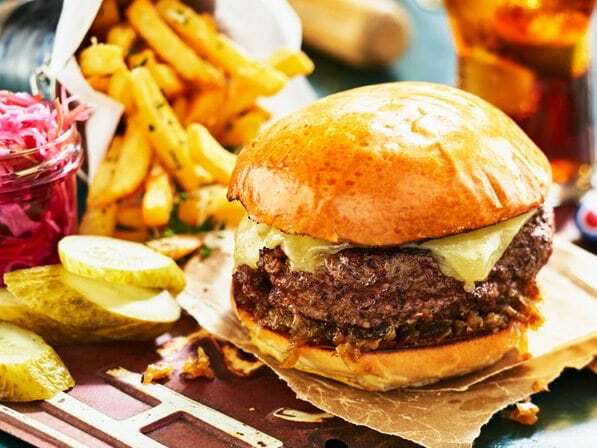 This is their first outlet in Singapore and burger fans couldn’t be more excited. The menu will feature signature Shack eats like the SmokeShack burger with applewood smoked bacon, cherry peppers and house sauce, plus crinkle cut fries and frozen custard ice cream. Fingers crossed the lines are more manageable than the NYC original so we can all make our flights. If you’ve had a chance to try the tasty Latin American bites at Daniel Chavez’s Tono Cevicheria, then you’ll love their little sister restaurant Tonito. 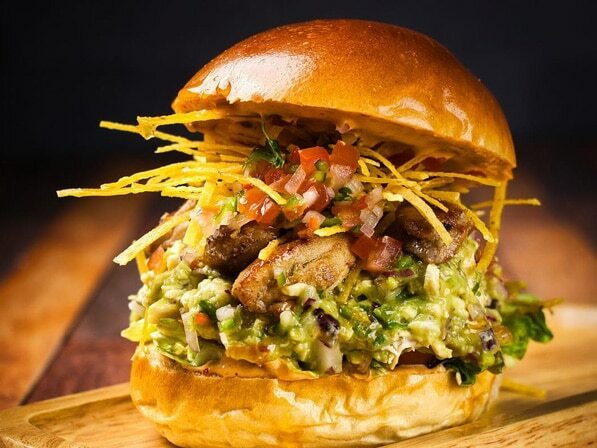 Sample casual comfort food from around Latin America like tacos and quesadillas from Mexico, Venezuelan pepito sandwiches and anticucho meat skewers from Peru. You can also sip on a cocktail or two as you enjoy stunning views of the waterfall. The name gives away the menu of this famous London-born brand that focuses on doing only a few things really well. 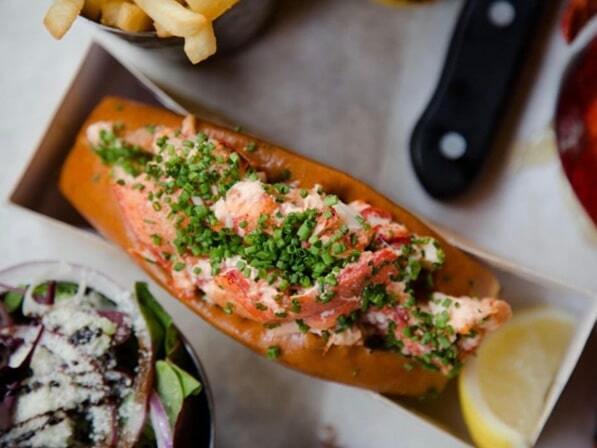 The lobsters come from Nova Scotia and the beef from Nebraska, and the quality is what makes the lobster rolls and burgers so damn good. 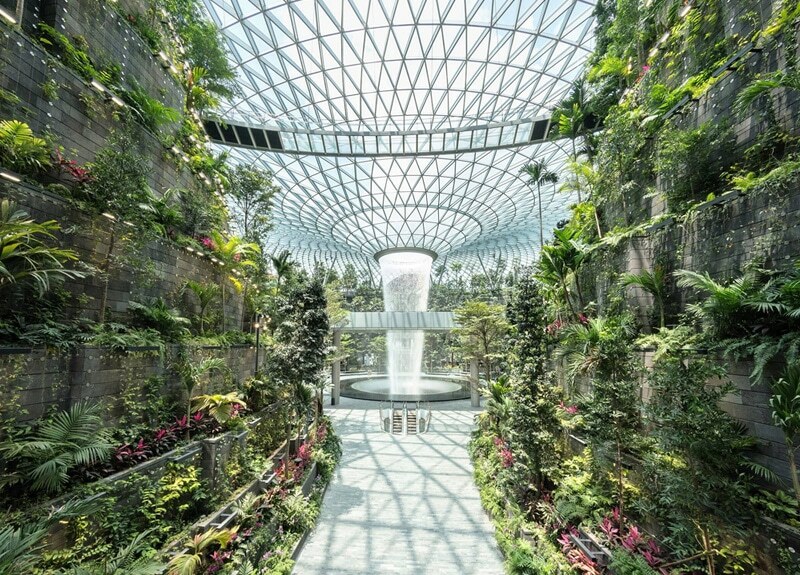 Oh, and did we mention the branch will be in the Canopy Park overlooking the world’s tallest indoor waterfall? Double score! 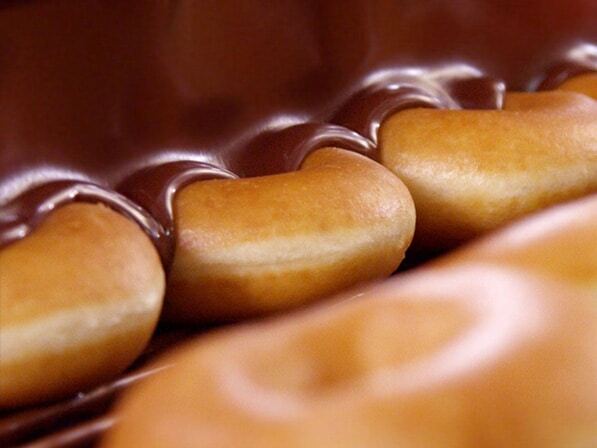 You haven’t had a donut if you haven’t indulged in a Krispy Kreme. Krispy Kreme has been selling their famous Glazed Doughnut since they opened in 1937 and it is still warming hearts globally. They offer a variety of flavours like Glazed Cinnamon and Glazed Chocolate Cake. Do what we do and order a dozen to “give to your friends” then eat them all en route. Chef Yuki Onishi is the man behind Tsuta, the world’s first Michelin-starred ramen shop. Each hearty bowl is made with only natural, premium ingredients, so you get pure goodness like super marbled char siew, rich dashi that is actually three broths in one, and noodles made fresh in-house. Start with some gyoza or fresh salmon salad, then move on to a bowl of steaming noodle soup. We don’t know about you, but Ramen sounds like the ultimate pre-flight snooze inducing comfort food that will help us catch some zzz’s once we hit cruising altitude. OTT ice cream is the name of the game at Emack & Bolio’s, a Boston chain that prides itself on using hormone-free milk and unique ingredients to create wild and wacky flavours. Try the Vanilla Bean Speck, Myers Rum Raisin or Chocolate Salted Peanut Butter Cup. 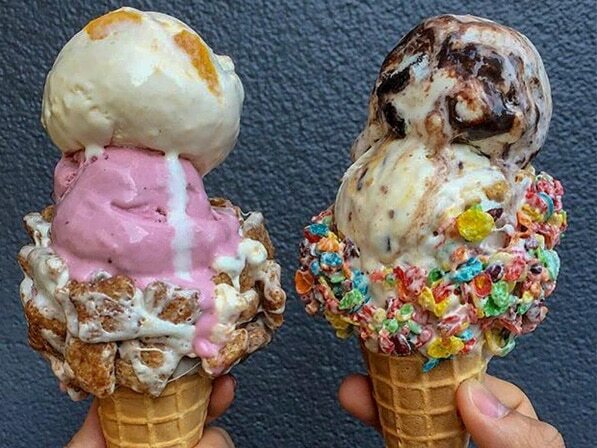 Have it served in a flavoured cone dipped in marshmallows, Oreos or Fruit Loops for a totally Insta-worthy treat. Nothing like a pre-flight sugar rush! This Taiwanese restaurant will warm your heart and soothe your soul no matter what time of day you dine here. 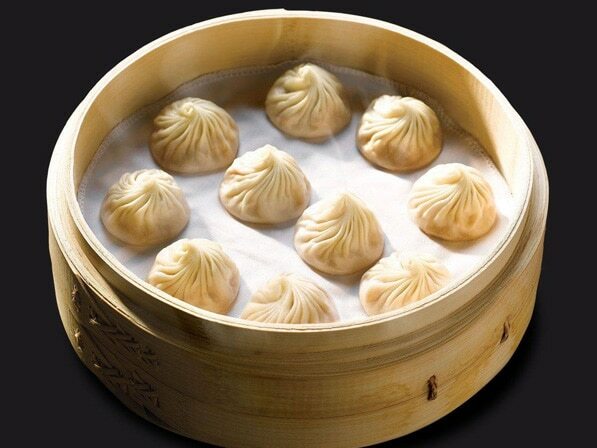 Tuck into their famous xiao long baos (steamed pork soup dumplings) along with their other delights like their Oriental Wontons with Black Vinegar & Chilli Oil. 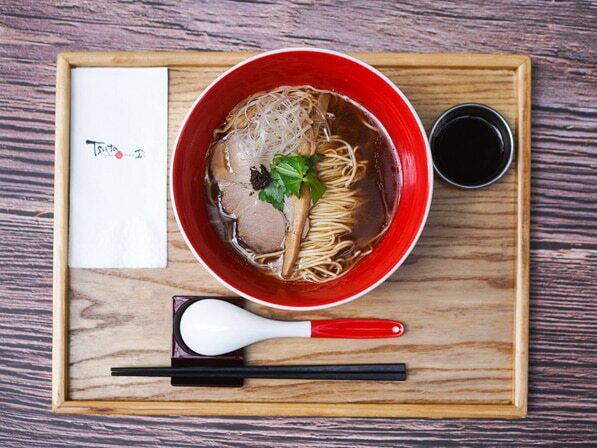 There are 24 Din Tai Fung restaurants in Singapore with the latest at Jewel Changi Airport. Its for good reason that The New York Times has ranked this as on of the world’s Top Ten Best Restaurants. With over 1500 locations across the globe, you know you’re going to be in for a treat. 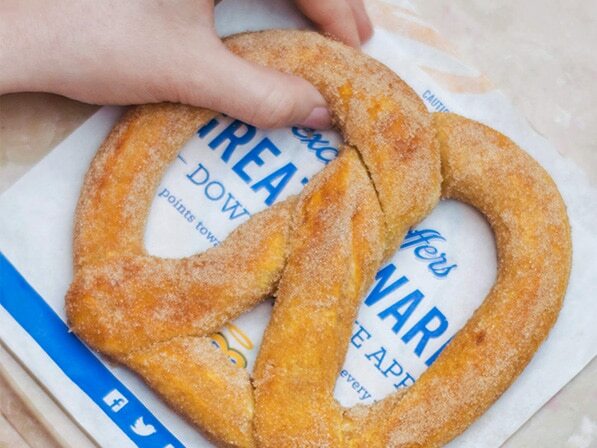 Back in 1988, Anne Beiler and her husband, Jonas, sold a variety of snacks including hand-rolled pretzels until they found the one recipe that was perfect. Now coming in a variety of flavours like Cinnamon Sugar, Roasted Garlic Parmesan and more. Violet Oon is the queen of Peranakan cuisine, so it makes sense that she would join the awesome new F&B offerings at Jewel Changi Airport to represent the culinary heritage of the Little Red Dot. You can expect a range of mouthwatering creations like the dry laksa, smokey satays, gula melaka cake and pineapple tarts. This two-storey Starbucks is definitely worth a visit. Choose from an expanded menu of food and drinks. Coffee connoisseurs, you’ll enjoy the various brewing methods like Chemex and Coffee Press. 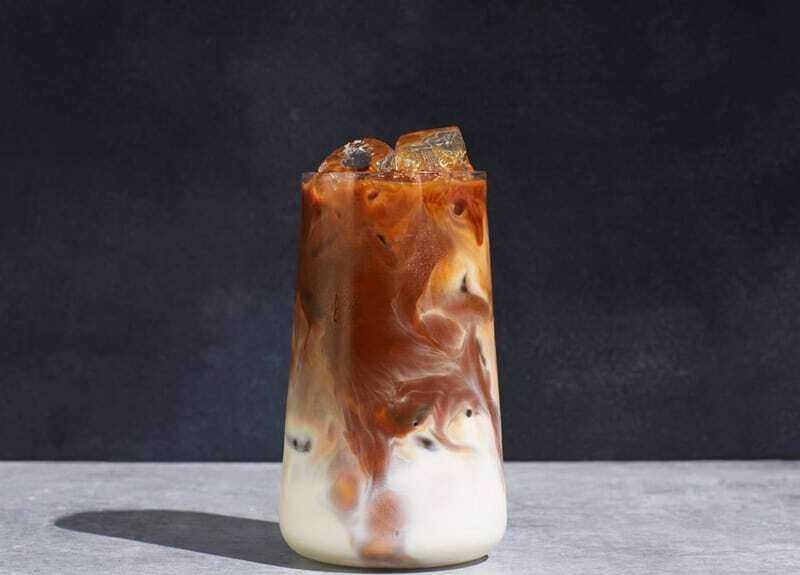 They also have partnered with Udders to offer up Classic Affogatos, Cold Brew Floats and more. Sit down and relax amongst their modern interiors for an elevated Starbucks experience. 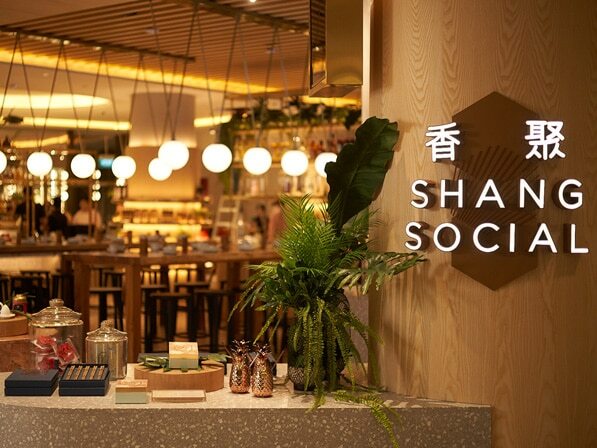 Shang Social is the first stand-alone dining venue by the Shangri-La group. The focus here is on Cantonese, Huaiyang, and Sichuan cuisines, so you can expect traditional classics alongside contemporary creations. 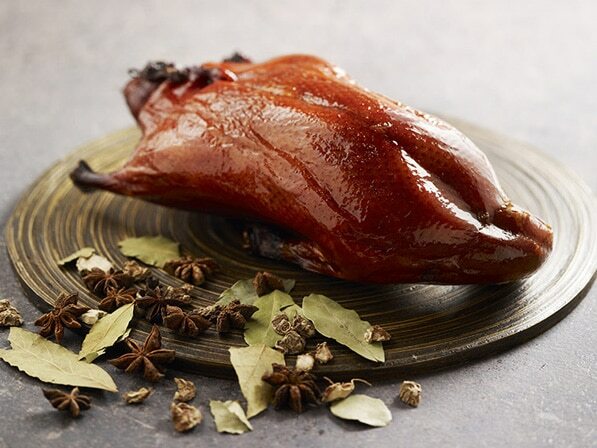 Signature dishes include the bamboo noodles with dark soya sauce and deep-fried chicken stuffed with glutinous rice. There’s also a bar serving up Asian-inspired cocktails. Every time we walk by this fried chicken spot, there are always long queues, which is a pretty good indicator of just how delicious the chicken is. The secret is that each piece of chicken is hand-brushed and fried up only when you order, so you get hot, crispy chicken every time. 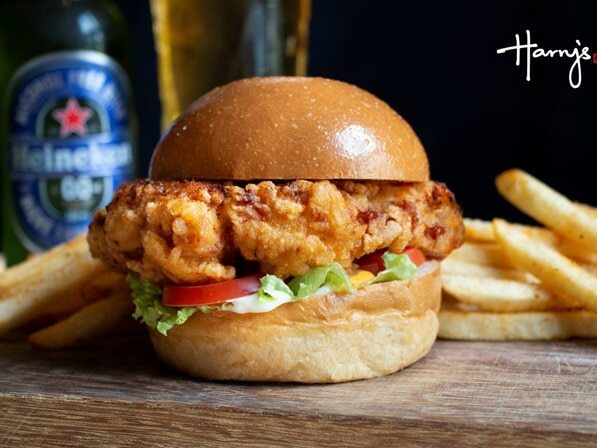 They also have fried calamari, fried shrimp and juicy chicken burgers to boot. If you’re craving Chinese food, this is your spot. 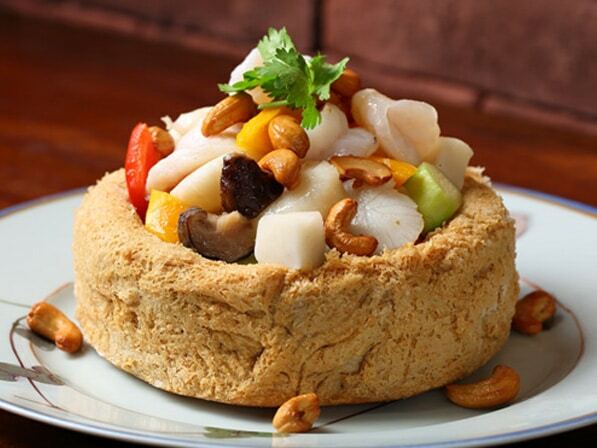 The Crystal Jade group has won tons of coveted culinary awards including one Michelin star and multiple Bib Gourmands. The signature dishes here are the xiao long bao (soup dumplings filled with goodies like minced chicken, mushrooms or chili crab) and springy la mian noodles. Ippudo is one of our absolute favourite Japanese restos, so we love that we can grab a steaming bowl of ramen before jumping on a flight. 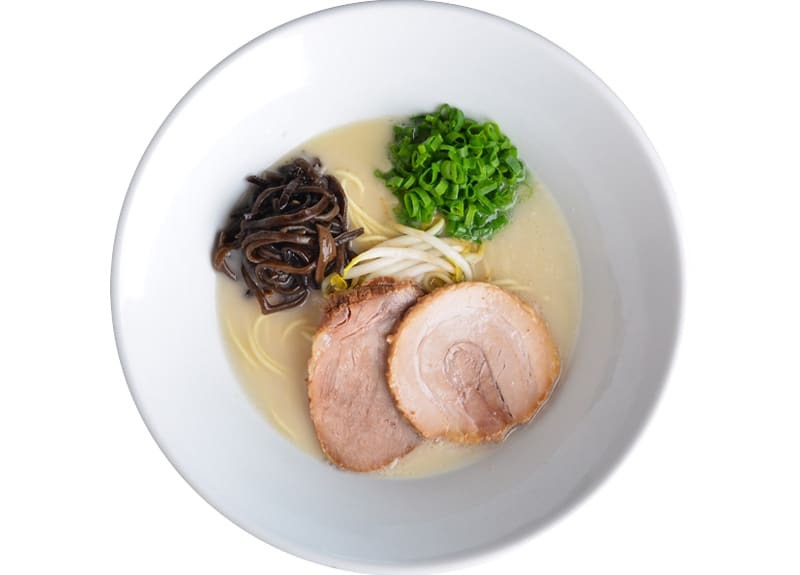 The signature ramen comes with a rich tonkatsu broth, al dente noodles, and thick slices of pork belly. Not in the mood for ramen? Try the gyoza, pork buns or beef tataki with homemade dipping sauce. There is also an outlet in Terminal 2. 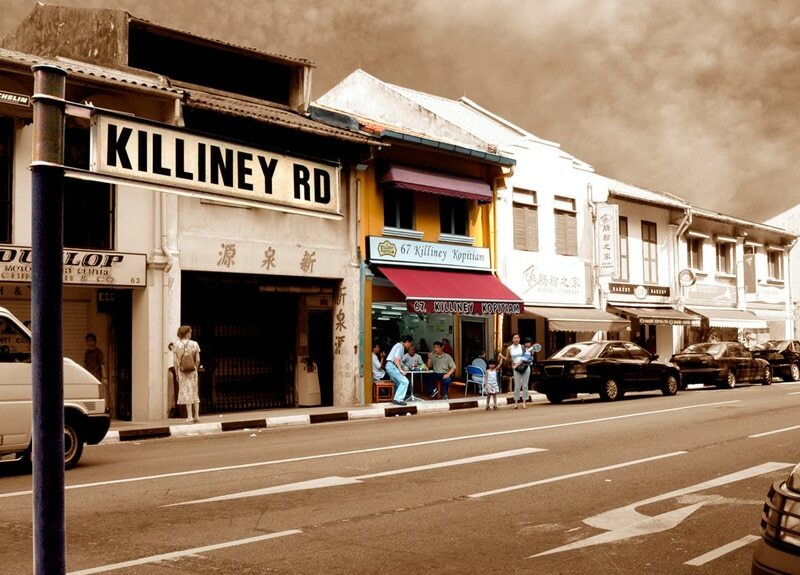 This famous Singaporean institution began as a small Hainanese coffee shop that opened on Killiney Road in 1919 and it became famous for its teh, kopi and kaya toast. In 1993 one of the regular customers bought the shop and expanded it into the beloved brand it is today. Savour a taste of home before you fly with classic dishes like the kaya toast, laksa and hokkien mee. Level 3 Departure Lounge. Open 24 hours. Fancy a beer before your flight? Or maybe you want to catch a game while you’re killing time before you board? Either way O’Leary’s has you covered. This Boston style bar has multiple TVs playing live sports, comfy bar stools, American pub grub, and a great selection of cold beers and spirits. There is also another O’Leary’s in Terminal 2. Level 2 Departure Lounge. Open 24 hours. Need a coffee break? Fuel up at Starbucks and choose from one of their seasonal treats or delicious roasts. Snack on their fresh and healthy food offerings or bite into a warm croissant. If you have some time in between your flights, there’s ample amount of room to sit back and relax for a bit. Just remember to finish your bevvies before you get to the gate security. It’s all about sipping and snacking as you wait for your flight at this contemporary 24-hour bar. There are eight craft beer taps to choose from as well as an enticing selection of craft cocktails. If you happen to be there during the day or early evening (from 10am to 9:30pm), you can also grab tasty bites like pizzas and sandwiches. This homegrown brand is famous for their piping hot kopi and charcoal-grilled toast with homemade kaya. If you have a morning flight, this is a great place to grab a traditional Singaporean breakfast before you go. 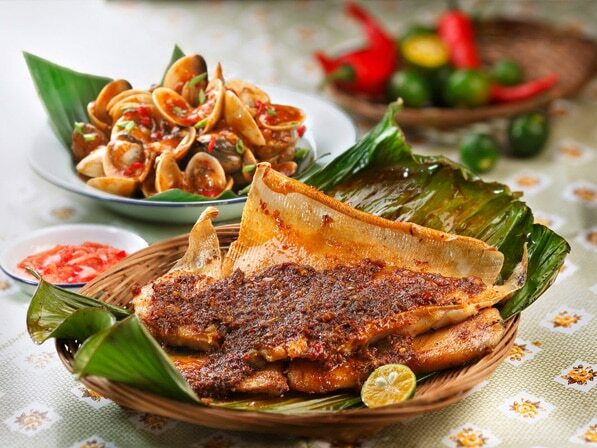 Later in the day you can also fuel up on local favourites like laksa, nasi lemak and mee rebus. There is another location in Terminal 2. This worldwide chain opened its doors in 1963 and they’ve been serving delicious brews ever since. 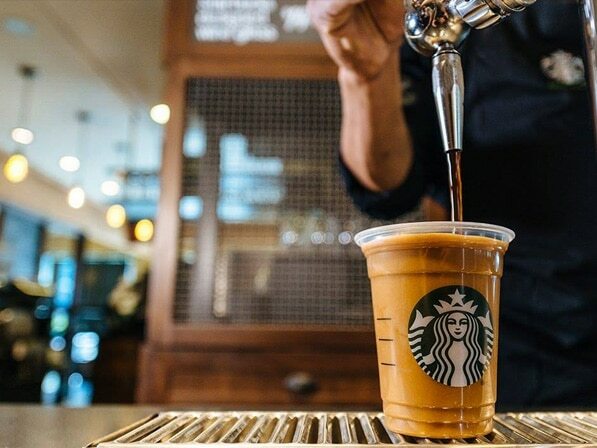 Choose from a selection of their coffee and teas like The Original Ice Blended or a Nitro Brew. Pair your choice of bevvy with their Original Cheesecake for an ultimate treat. 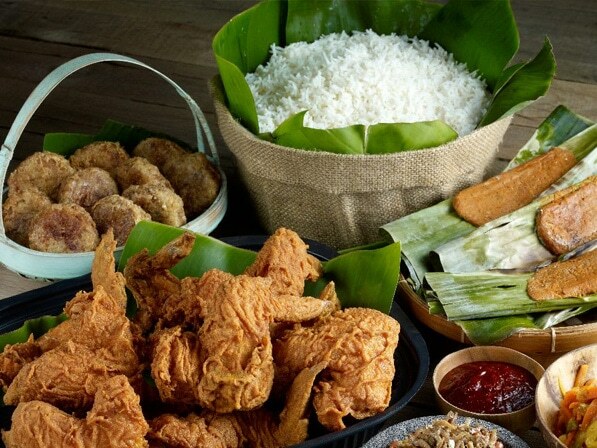 Crave is famous for its delicious nasi lemak, a hearty dish of coconut-infused rice served with fried chicken, crunchy peanuts, crispy fish, and sambal chili paste to bring all the flavours together. 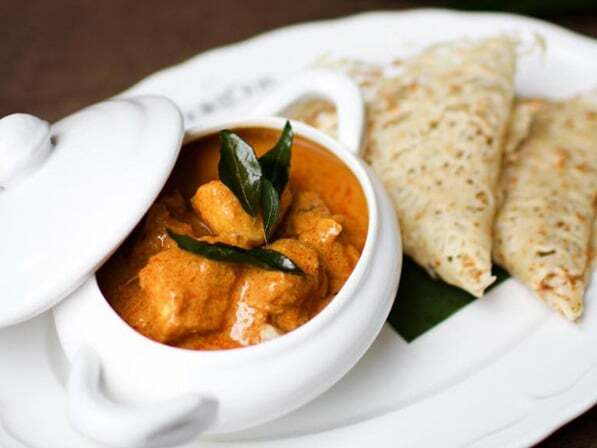 This traditional Malay dish is typically eaten for breakfast, but we love it any time of day. 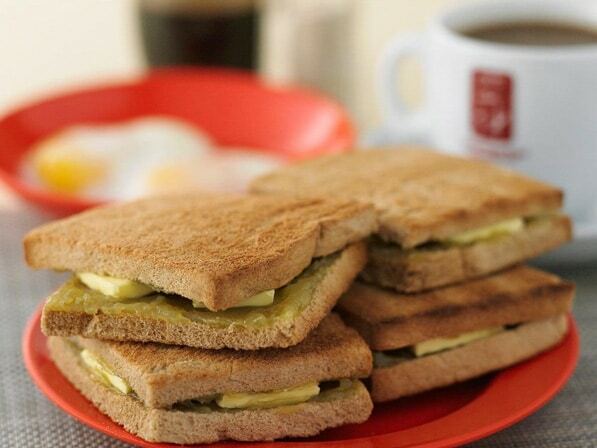 Pair it with a fragrant teh tarik, and you have a quintessential taste of Singapore. There is also a location in Terminal 3. 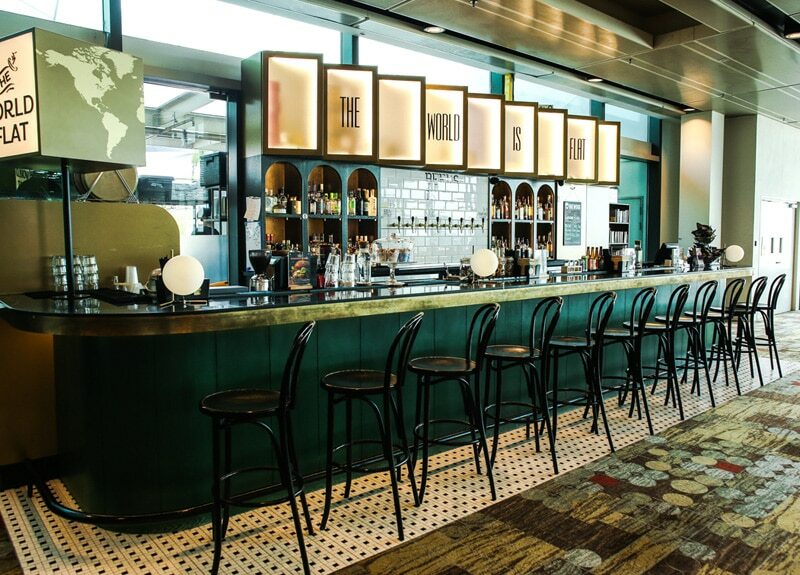 Give cheers to a great start to your vacay at Harry’s Bar, one of Singapore’s biggest bar and dining chains. 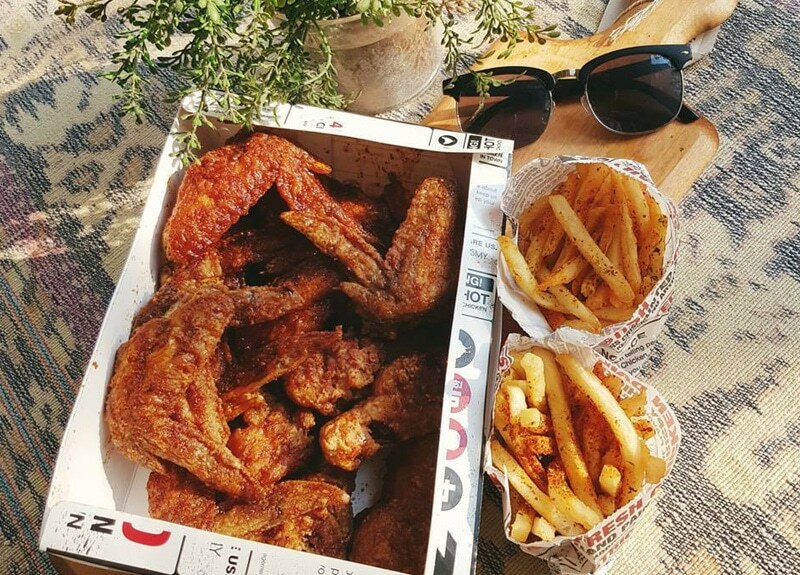 Order up a cold pint and dig into comfort food dishes and Asian offerings like the Sriracha chicken wings, beef rendang with basmati rice, and beer-battered fish n’ chips. There is also a location in Terminal 3. 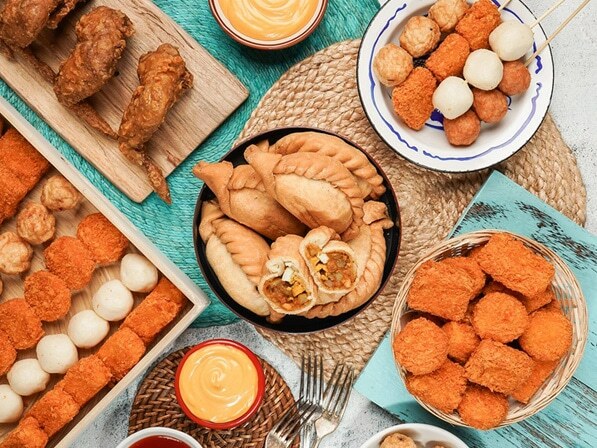 For Singaporean comfort food, make your way to Old Chang Kee where you can snack on addictive bites like the famous curry puffs stuffed with curried potatoes, chicken and a hard-boiled egg. Other options include the fish balls with sambal chilli, prawn nuggets, spring rolls and chicken wings. There is another location in Terminal 3. Get your hawker food fix at the Straits Food Village where you can hit up the self-service kiosks for local favourites like bak kut teh with pork ribs in a savoury broth, nasi lemak, smoky satay and minced pork noodles. This is a great spot to go if you’re travelling with a group and everyone has different tastes. Experience an authentic taste of Singapore at this old-school tea house that focuses on Chinese favourites like dim sum and Teochew dishes. 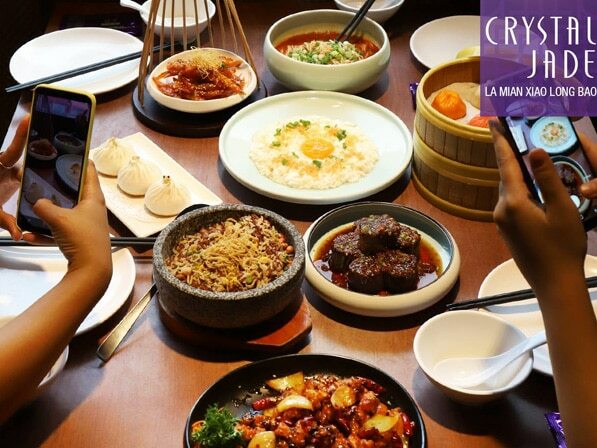 Must-tries include the steamed prawn rice roll ‘cheong fun’, chilli crab, crispy fried prawns coated with salted egg yolk, and braised bean curd smothered in a crab meat sauce. Departure Lounge. Open 24 hours. 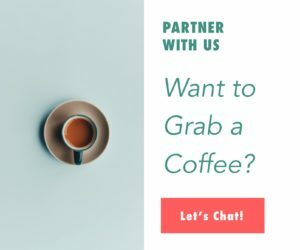 Need a coffee break? 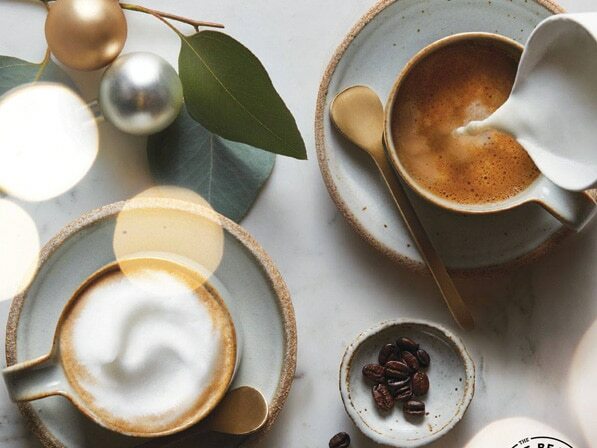 Fuel up at Starbucks and choose from of their seasonal treats or delicious roasts. Snack on their fresh and healthy food offerings or bite into a warm croissant. If you have some time in between your flights, there’s ample amount of room to sit back and relax for a bit. Need a quick pick-me-up before you fly? Hudsons Coffee is an Australian brand that got its start in Melbourne and quickly rose to fame for their excellent brews. Each cuppa is made with 100 percent Arabica beans and can be poured just the way you like it whether it’s a latte, cappuccino or iced black. Sweet and savoury treats are also on offer. If you have time for a leisurely meal while you’re in transit, we highly recommend this celebrity chef joint. The menu features mouthwatering Western fare like house-made meatballs, pizzas and pastas, as well as a few Asian-inspired dishes like the spicy chicken potstickers and turkey and white cheddar sandwich with kimchi. 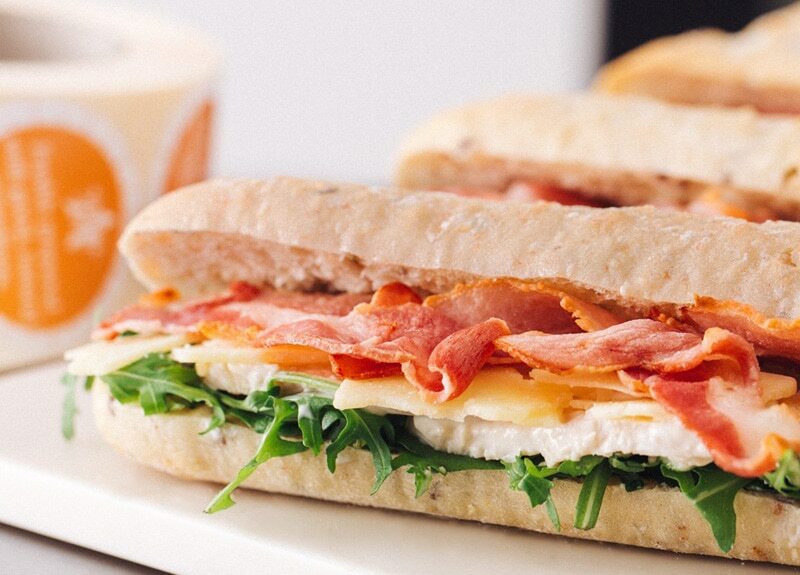 Who doesn’t love Pret? 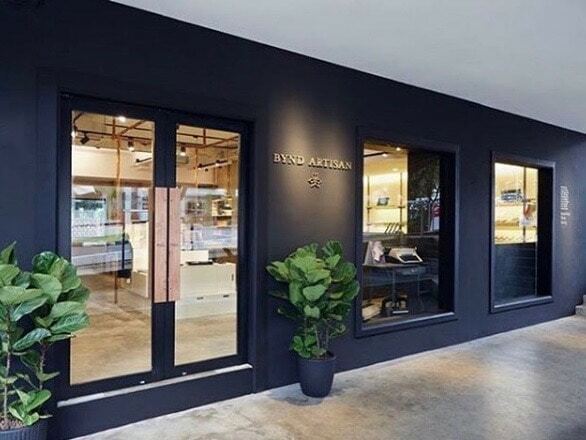 This is the only spot in Singapore where you can find this UK-based cafe, so we highly suggest stopping by if you’re travelling out of Terminal 3. 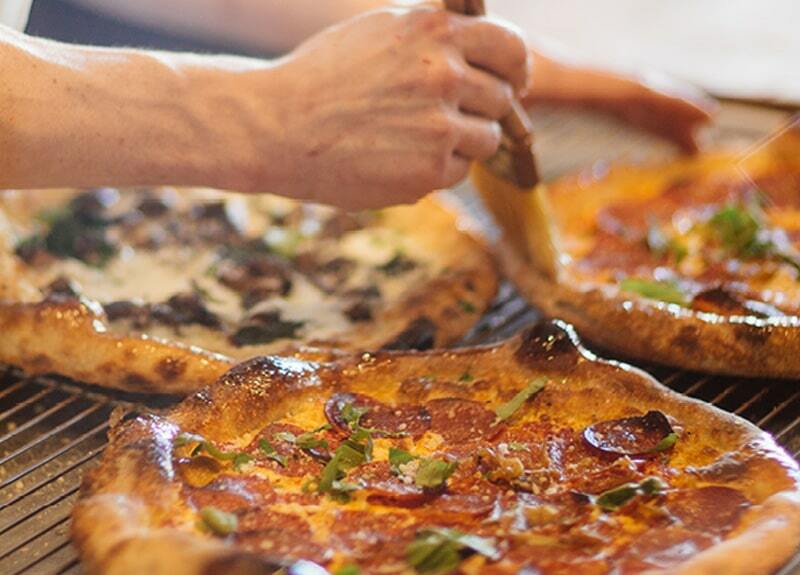 What makes them so awesome is the fact that they hand-make everything in their on-site kitchen using natural ingredients, so all the salads, sandwiches and pastries are ultra-fresh and bursting with flavour. Pre-packed and ready to go on-board, Pret’s fare is the perfect meal or snack to grab and bust out during your flight or layover. Styled like an old-school street from the 1960s, this uniquely Singaporean food court features food carts and stalls that serve a variety of tasty local favourites. 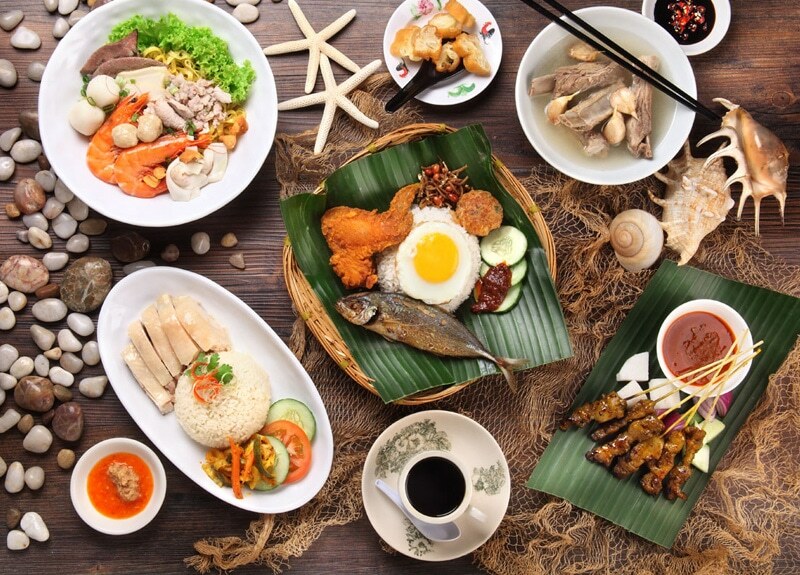 Depending on the mood you’re in, you can dig into a nourishing bowl of bak kut teh, a fragrant plate of Hainanese chicken rice, or a heaping serving of fried kway teow noodles and carrot cake. We love Tanuki Raw for their creative Japanese fusion dishes that boast premium ingredients like blow-torched salmon, salted duck egg and foie gras. 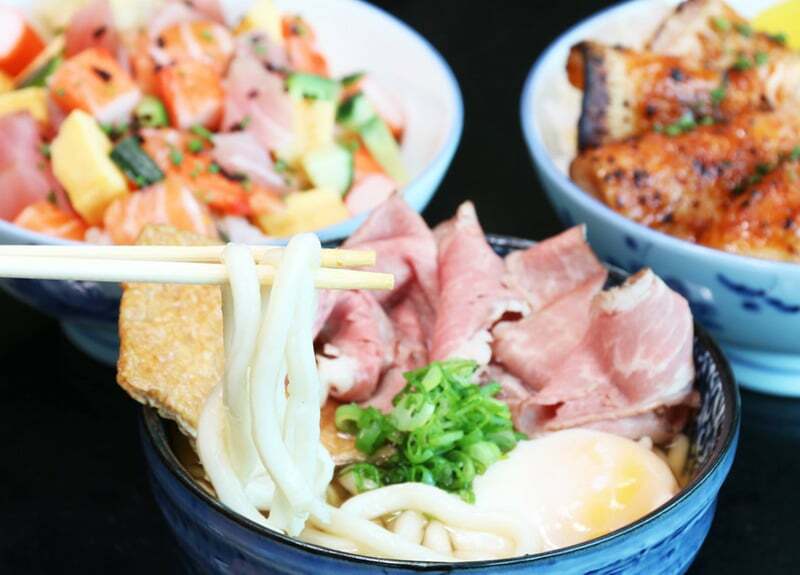 At this location you can grab quick and easy bowls that are both flavourful and filling like the truffle yakiniku donburi with black angus short rib and an onsen egg and the bara chirashi loaded up with an array of fresh sashimi. Talk about elevated airport dining we can get behind – take it to go and make your seat mates jealous. This worldwide chain opened its doors in 1963 and they’ve been serving delicious brews ever since. Choose from a selection of their coffee and teas like The Original Ice Blended or a Nitro Brew. Pair your choice of bevvie with their Original Cheesecake for an ultimate treat. Level 2 Departure Lounge. p. +65 6386 7850. Open 24 hours. Celebrate your last hour or so in Singapore with an ice cold Tiger beer at this inviting drinking den. The beer is served straight out of their custom built draft system so you get only the freshest quaffs. You can also grab local street food style bites like chili crab bao and beef yakitori skewers. The best part is they’re open 24 hours. Imperial Treasure is famous in Singapore for their fine Chinese cuisine, and now you can grab delectable dim sum and mains at Terminal 4. Favourite menu items include the succulent roast duck, salted egg yolk black custard buns, and the signature noodles topped with pig trotter, wanton, beef tendon and a prawn dumpling.